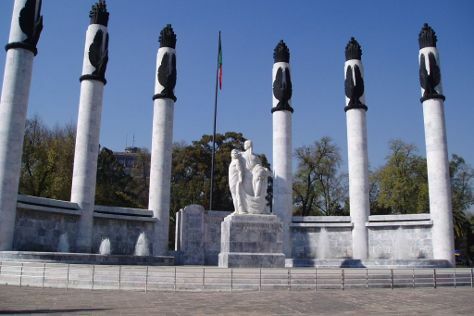 Start off your visit on the 21st (Mon): appreciate the extensive heritage of Zocalo, then don't miss a visit to Murales de Diego Rivera en la Secretaria de Educacion Publica, then wander the streets of La Condesa, and finally take a peaceful walk through Chapultepec Park. On the 22nd (Tue), you'll have a packed day of sightseeing: admire the landmark architecture of Metropolitan Cathedral (Catedral Metropolitana), explore the ancient world of Museo del Templo Mayor, then explore the world behind art at Palacio de Bellas Artes, then examine the collection at National Museum of Anthropology (Museo Nacional de Antropologia), and finally see the interesting displays at Frida Kahlo Museum. To see reviews, ratings, other places to visit, and more tourist information, read Mexico City trip planner . Expect a daytime high around 30°C in May, and nighttime lows around 16°C. Finish your sightseeing early on the 22nd (Tue) to allow enough time to travel back home.